Why not transfer your old VHS-C camcorder video tape to DVD? 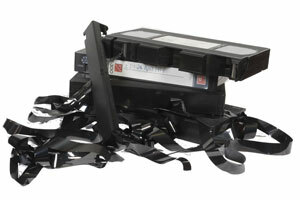 VHS-C video tapes will degrade whereas DVDs do not. Copy your VHS-C camcorder videos to DVD before it's too late. Use our online/mail order VHS-C service with total peace of mind. We are part of the Kodak Express group which means excellent service and top quality. All VHS video to DVD work is done ONSITE at our Kodak Express Store in London. Drop in your VHS-C video tape or post it to us with your instructions and telephone number. On receipt of your VHS-C video tapes we will contact you and take payment by credit card over the phone. It's that easy! 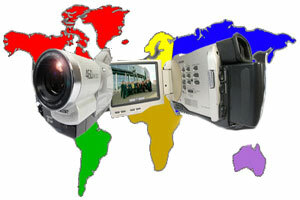 We can produce editable AVI files from you VHS-C video tapes enabling you to edit the video on your home computer. The files are AVI files will work on both PCs and MACs. Editable file sizes are very large and you will need to supply an external hard drive or large capacity USB stick. One hour of video needs 13gb of space. It is a condition of using our service that you own the copyright to the material on the VHS-C video tape. If it is commercial material which your originally bought we can make one copy to DVD. You must have permission for a DVD transfer. We only carry out VHS-C work on the above understanding. NTSC is the TV standard for many countries around the world, most notably, the USA, Japan and Canada. We can transfer your NTSC VHS-C video to DVD for so that you can view the footage on your home DVD player. The cost is NTSC conversion to DVD from VHS-C video tapes is £40 with discounts for quantities.